The new Wavedrum Global Edition represents the next—and most powerful—evolution in the Wavedrum family. It boasts the largest palette of cutting-edge sounds of any Wavedrum to date; with sought-after percussion sounds from around the world, a major boost in the quality of each sound, and dramatic improvements in usability. 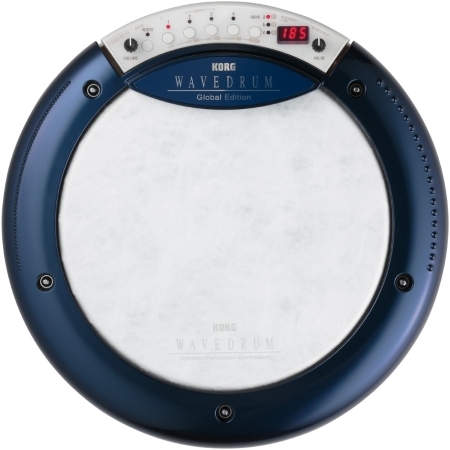 In 2009, Korg unveiled Wavedrum WD-X, a revival of the original Wavedrum that debuted in 1994. The reimagined ‘09 Wavedrum had a stunning impact as a performance tool that brought new expressive power to musicians–from users of the original Wavedrum to forward-looking percussionists. Subsequent models included Wavedrum Oriental with its added Arabic sounds, Wavedrum Mini with its unique sensor clip, as well as limited edition color models, and the instrument's unbounded potential has continued to accelerate the spread of Wavedrum mania throughout the world.